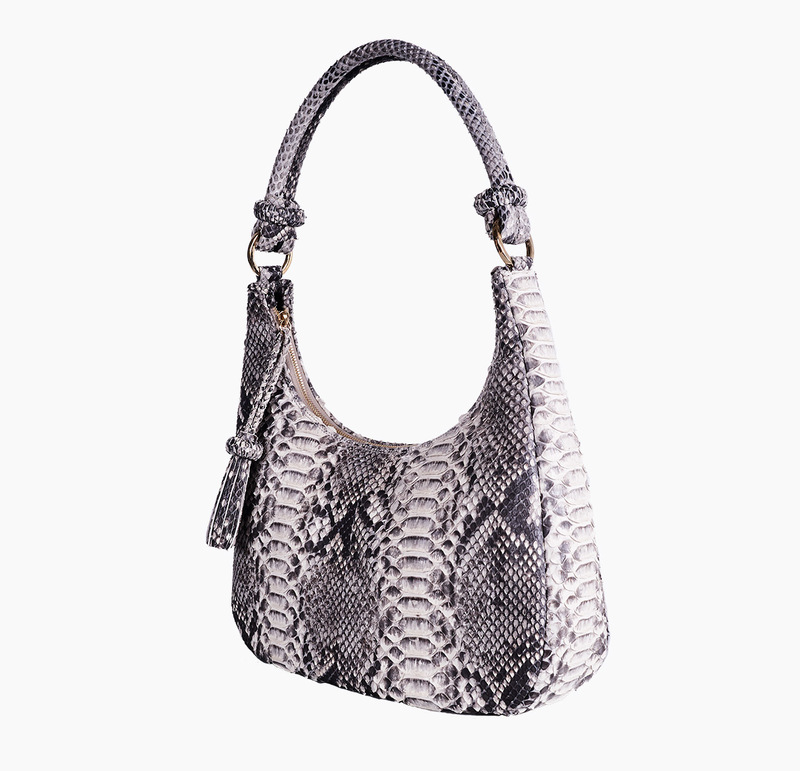 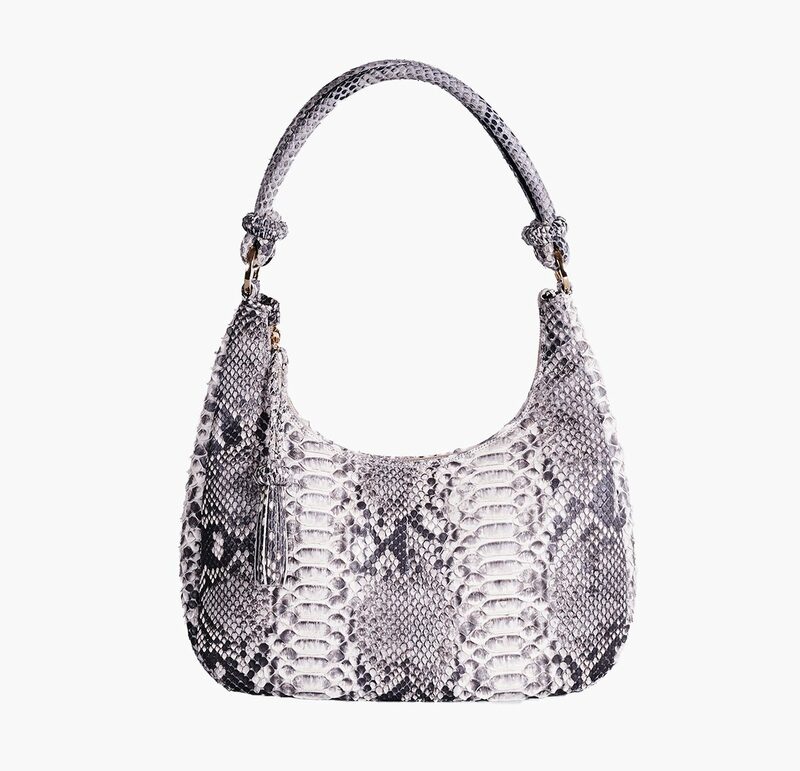 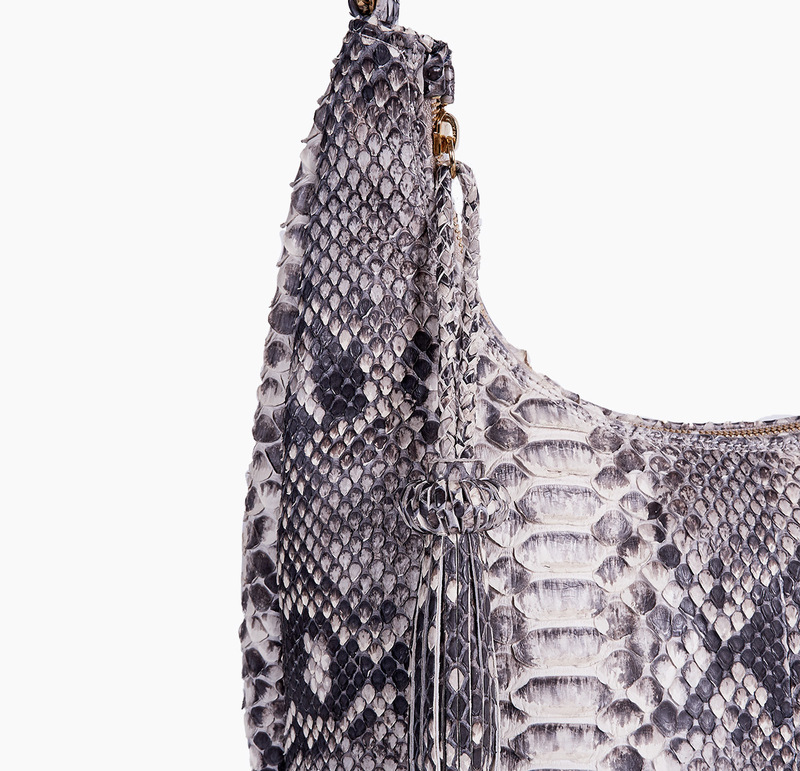 Exclusive round-shaped bag made of genuine black python leather. 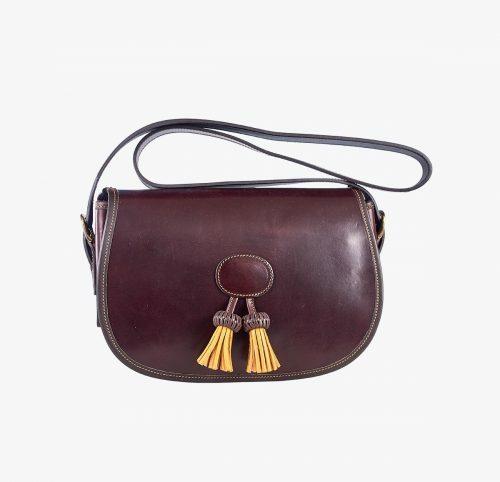 The top zip features tassel decorations. 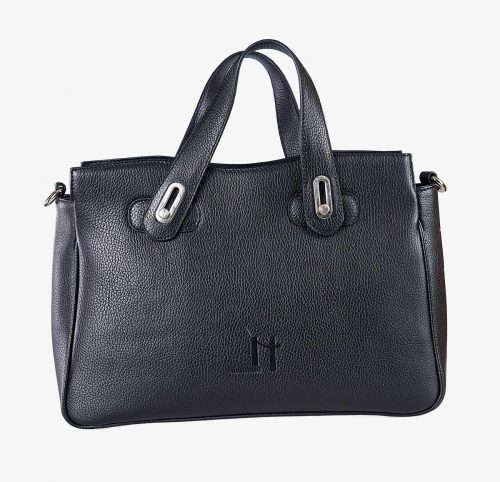 The inside is made of soft fabric with a silky finish, and it has a back pocket with a zip fastener. 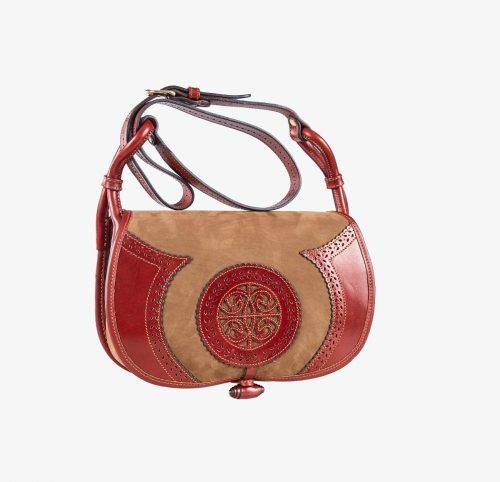 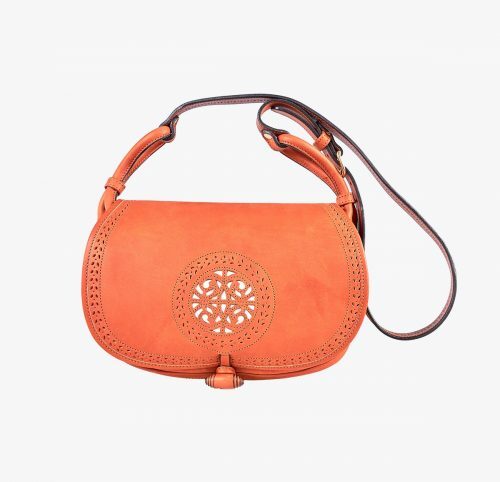 This original design can be used as a shoulder bag or handbag.